This is Max. He’s been in the building trade for 7 years now, and he’s also a pro at fitting Maxtop. Today he’s giving you his top tips for getting new customers as a kitchen fitter! When the alarm starts ringing at 5am and you’re stumbling around your house in a half-sleep stupor, are you thinking, “All I want to do is climb back into f**cking bed!”? 9 times out of 10 I am. But when I’ve polished off a bacon butty and a hefty mug of black coffee, I come to my senses and realise that as a self-employed kitchen installer, I’m lucky to have a regular flow of work – the cash comes and I get a regular supply of brews and biscuits from customers throughout the day. Sorted. 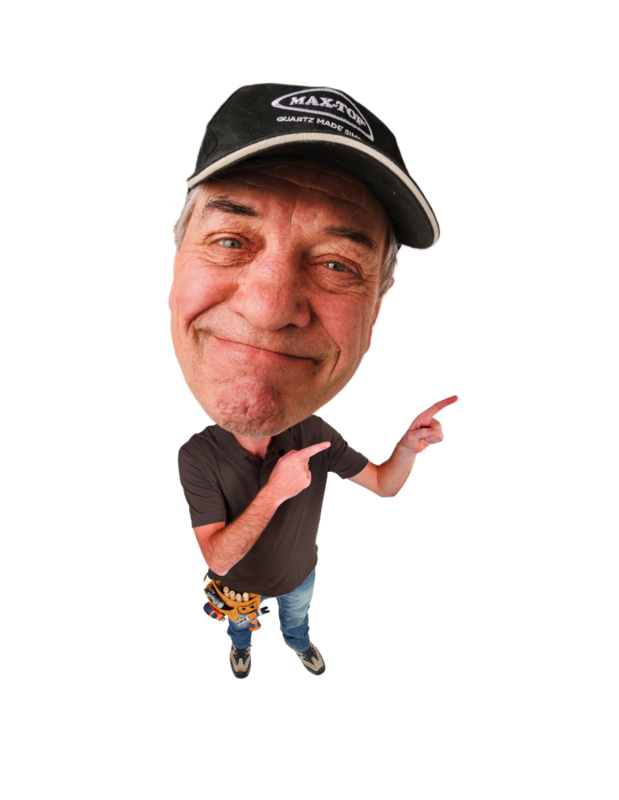 I’ve put the legwork in over the years, and I know as well as anyone that maintaining a business as a self-employed tradesman is hard graft. Paperwork, business chores… it’s all a pain in the a**e, especially when you want to crack on with your tools. All this makes a difference to how busy you are at work. 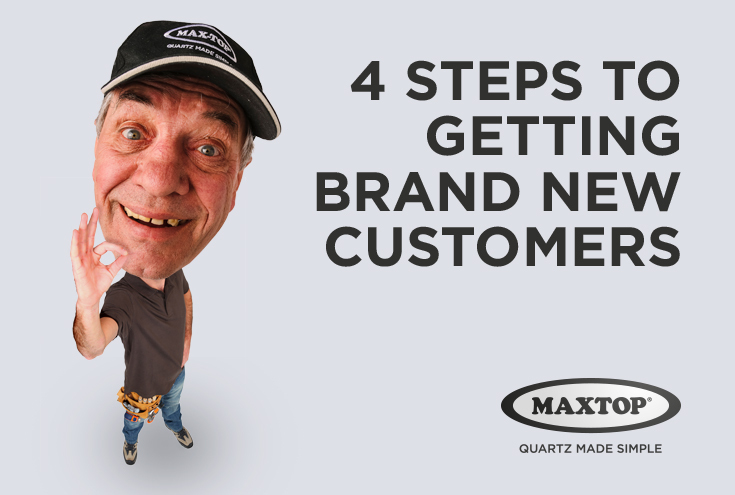 So, make sure you’re not just a spare part – here’s 5 steps to getting new customers (more cash). References, recommendations, reputation – crucial! If you don’t already know this then I’m going to drill the point home. REFERENCES. RECOMMENDATIONS. REPUTATION. Got it? These three words will take you places. Doing a good job goes without saying, but there are loads of other ways you can ensure that word of mouth is getting you good work. Being a top professional is a good starting point – no turning up late to jobs, don’t stitch up clients and don’t turn up to work looking like you’ve been boozing all weekend. Had one too many during the footy? That’s no excuse. True pros don’t go ruining cream carpets by traipsing through the house in mucky work gear. They also answer the phone. Don’t leave clients chasing you because you were too busy cursing Tranmere Rovers’ terrible away form and ruining your footy accumulator. Remember those chunky telephone directories you used to flick through for new customers? Well, some people did actually use them for business… although the only action mine saw was when the kids were using them as steps to get to chocolate and biscuits from the cupboard. I thought I had the kids sussed, but they had me fooled all along, the sneaky little devils. Anyway, I’m getting off topic. The point I want to make is that I’m not a**ed about the old telephone directories, it’s not 1993. You’ve gotta get yourself online. And RatedPeople.com is where you want to head to first. You can search for and find work from the comfort of your own home – I set aside time every week to have a search. By “set aside time”, I mean I get a chippy tea in and have a scroll on the couch whilst trying not to get gravy all over myself. So, get on the web and start calling the shots, alright? Ah, social media. Twitter. Facebook. Snapchat. Instagram. WhatsApp. What? Who? Do you care? Well, you should. Facebook and Twitter might be full of daft videos and people ranting, but they’re actually a decent way of chatting to customers. You can tell them how great you are and if they’re into a bit of social media stalking (everyone is), they’ll find out that you’re bloody good at your job. Post photos of your work, strike up conversations with trade comrades and local businesses, and keep up to date with the latest trade news. Just make sure you don’t get yourself into trouble – I used to get into a Twitter row with this numpty of a Southend United fan every weekend. Everyone down at the Red Lion knows it’s a pint of John Smith’s for me. At the local butty shop they don’t need to ask – mine’s a sausage, egg and black pudding barm with brown sauce. And at Prenton Park, I’ll be found in the Bebington Kop, row 16, seat 10. Common knowledge. But most importantly, everyone in Merseyside knows who to dial when they need a new kitchen fitting. If everyone knows your business, give yourself a pat on the back and treat yourself to a brew and a biscuit. If they don’t, what are you playing at?! If you’re driving around in a van with no logo, you deserve a clip round the ear. Operating without a business card? Give yourself another clip. You’re missing out on people remembering your business. Get yourself a logo and stick it on the van, at least. Interested in learning more about Maxtop? Take your training to the max with one of our training courses. Contact us here, or on Facebook or Twitter.